I've been struggling with what to say. The last couple of days have brought tremedous challenges and I have been struggling to hang in. My older brother has lost everything. His car, house, dog and other possesions have been taken due to his finacial situations. His credit is completely ruined and his life is hanging by a single thread. Along with losing all of his poessions, he has lost his pride, dignity and manhood. I cannot begin to describe how hard it is to watch someone who you love and know, crumble to the ground. It is extremely sad and heart wrenching. I used to get in the boat and face my feelings, now I just watch the boat go by. I feel numb to all feelings. I cannot bring myself to cry, nor to get upset. I no longer process things. I cannot get my feelings and I feel like no one gets it. Why does he permit such suffering? Why me? All the time..
Friday, I spent the day with the babies. I love them a lot ! I have noticed since I have stopped watching them, that they fight. They hit each other and there no longer seems to be harmony between them. It makes me sad because I know how many individuals are watching them and they do not have that consistent discipline. Either way, it was great to see them. They are talking a lot now, which is so fun! Katelyn is starting to say "yumkic" for yuckie. She says it when she sees food on the floor or when some thing is dirty. It is so funny! It is amazing how kids change in three weeks. In additon to the new found language, the kids are starting to run. Katelyn used to stumble when walking, but now she is full force and running. They are fast little buggers! Can you imagine your child eating pink hot dogs for lunch? Do people realize how unhealthy the food that is served at school is so wrong? It has occured to me how in schools, children are eating food that is inhumane. I was disgusted by pink hots dogs. Our country is the most wealthy country in the world, we should be able to afford for our students eat properly. 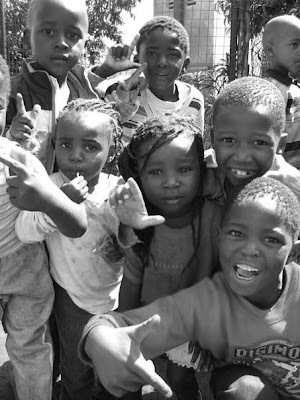 These kids come from places of poverty where the only meal they recieve is at school. Pink hot dogs! It is wrong.. It makes me sad to see so many kids who are hungry and do not eat the meal at school because it isnt edible. I wish that someone could step up to the plate and make healthy food available to children who have no other option. Many of the kids in my class cannot function without food because they are so hungry and they cannot pay attention. Without the basic needs met, kids cannot learn.. How can teachers and principals accept otherwise then students not paying attention and acting out if basic needs have not been met. I found this online somewhere. I thought it was an interesting goal list to keep! You check the things you have done and those that you have not, you leave blank. I hope to complete most of these in my lifetime. (X) Been on a plane – Planes, I love them. ( ) Been in a hot air balloon - I'd like to! (X) Been to Disneyland OR Disney World – Are you kidding me? I love Disney world!! ( ) Been to the Louvre- I would love to go to in France! When I get to the end of this list, I realize I have done hardly anything. I need to get going to accomplish this thing! I have more goals then the ones here, but I thought it was an interesting collection! This morning, I was delighted to be able to spend some my time with my dear Kelsey. It felt like we were in college again at Panera. I miss my friends dearly. It is so nice to hear what is going on in her life. I am very excited to see how she is going to use her talents and gifts to glorify God. I have decided I wanted to write a blog based on injustice. Daily, individuals are treated less then human and it’s sickening to think that humans are no longer value in our society. I hope to discuss some interesting topic on here. My first thought of social injustice deals with the “Octuplet Mom” children. In previous social work experience, I have worked with children who are living in compromised living situations and I cannot help but feel that her children in someway will be in that situation. One child is already autistic, the other has special needs and she has another child with Aspergerers. These types of kids require a lot of strength, patience and dedication. These are wonderful kids, but they need a special kind of attention, love and support. I struggle to wonder if the new 8 children brought home will be taken care of to their fullest needs. I cannot help but wonder the type of impact 8 more children will have on her current children. I know the mother has been receiving a lot of criticism and my point here is not to judge, but to think about how these children will grow up. Her kids do not have a voice in this situation and I wonder what they would say 20 years from now. Would they be better put up for adoption? What will their life look like without a father? Will the children make it to highschool graduation? I just wonder about a lot of different things and I think it’s important to understand that the biological, social and psychological implications are extremely important in this situation. Keep kids safe and healthy is my number one goal. I wonder how the mother is handling all the media, threats and judgment. It is clear that individuals have their own opinions and that is perfectly fine, but I wonder what would happen if would surround her with love. What would happen if a community came around her and said, “We’ll help you” even though she chose this situation. I wonder what that would look and feel like…. Its shame to me that we like to point the finger, make judgment calls, when we all have made plenty of mistakes. I surely do not agree with some of her choices, but they have been made. I am curious what others think about this topic. .Any thoughts? Should we help her? Ignore her? Blessed is the word that I would describe having Drew in my life. This weekend I did not display my kindest, patient virtues. I had to cram for a huge mid-term on the DSM. I studied Friday evening, Saturday and Sunday all day. This mid-term was 30% of my grade and I am pretty sure I bombed it! Anyways, Drew was very sweet through it. Sunday, he had me come over and study, which I didn’t think was going to happen, but he was very proactive about telling me that I needed to study. He was extremely encouraging and helped me study. He even did a new look for my blog, which I love!!! It is awesome. I am so happy when I come to my blog now! In addition to the blog, he also cooked spaghetti dinner, roles and meatballs. It was fantastic. He was sounderstanding and sweet even though I was stressed and crazy! It was very nice. He also burned me the new Fray cd! I highly recommend it! Valentines week was highly memorable even though I had a crazy midterm to study for! I am so blessed to have someone so loving and kind to help me through my Masters Program! I am very thankful for him! I found this really awesome website that I am super de duper excited about!!! It is called paperbackswap.com. You take your old paper back books and list the ISBN number. Then, someone else requests books that you have. You just pay the shipping to them. You then earn a credit to get a book from someone else. It is a very neat way to get rid of books and get new books without spending a whole lot of money. This is really cool and suggest that everyone who loves to read, checks it out! Recently, I have been looking at getting a pair of glasses. I have perfectly fine eyes, but I think it would be beneficial in making me appear older.. I am on the search for glasses that I like and make me look older! I need to find time to breath. This weekend Drew and I were super busy! We went to see the movie “New in Town”. It was a great representation of the current job loss our country faces. It is about a small town that is going to lose it’s livelihood by a big corporation, when Rene Zeilweegaar comes to try and save the plant. It just reminded me about how thankful people need to be about the jobs they have and help those who do not have jobs. Times are tough, people are suffering, but God is God and he is Good. This weekend I was able to spend a majority of the time relaxing and I really needed it. I pray that everyone is doing well. Until next time, may Gods peace surround you.